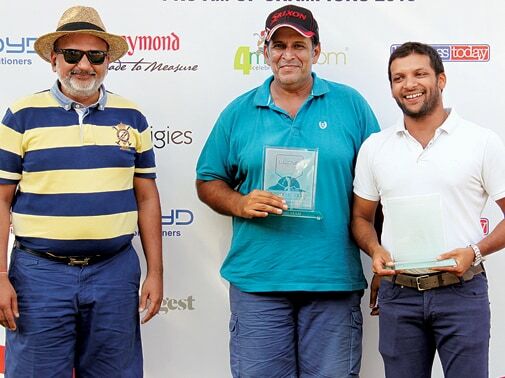 Laughter and camaraderie filled the atmosphere at Mumbai's Willingdon Sports Club which played host to the Business Today Lloyd Pro-Am of Champions 2015 on February 21. 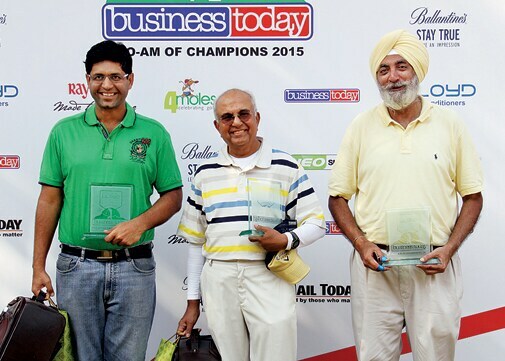 Amidst the fresh air and rolling greens, against the backdrop of an occasional sky-rise, a challenging round of golf awaited more than 80 chieftains of India Inc. The participants had to pull out all their golfing experience to stay at the top of their game. 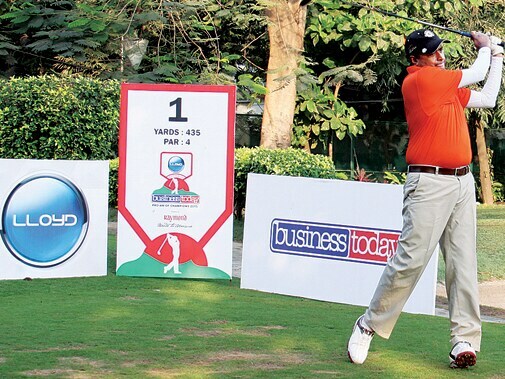 "It was a highly absorbing game of golf with lovely weather and a fantastic atmosphere, and it required a lot of concentration," said Leo Puri, CEO, UTI Mutual Fund, who was one of the first golfers to tee off. The play proved to be very demanding towards the middle of the day what with the temperatures going up. "The pin positions were tougher, and it was a very, very competitive game," points out D. Bhattacharya, Business Head, Corporate Strategy, Aditya Birla Group. The 18-hole course saw some exciting long putts and many birdies, but a hole-in-one, of course, proved elusive. Nevertheless, if the event exhibited anything, it was the participants' competitive spirit and positive attitude, irrespective of winning or losing. 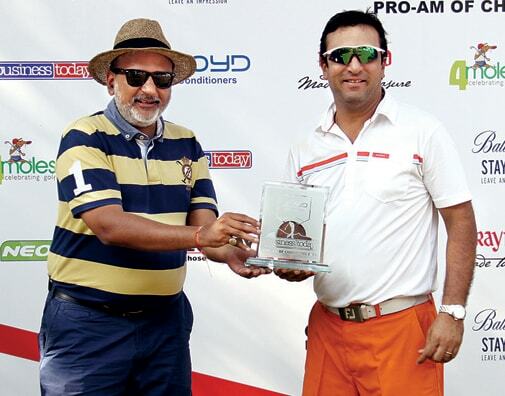 Dinesh Lal, Director of AMI India Logistics, who won the 19 to 24 Handicap category with 34 points, philosophically reminisced about how golf instills a spirit of openness and responsibility. "Golf has everything one needs in life: green grass and fresh air. But, at the end, if you don't make it, you can't blame anybody but yourself. If you get it right, it's like no other thrill." And more than the competition, it was the camaraderie that was clearly visible on the field. Jayashankar Jayaraman, Managing Director of APAC Alliances, Accenture, was excited at meeting so many executives away from the boardroom. "I have seen so many people in boardrooms; unlike that in golf, however, you get to know how people are on the field. It helps [in] knowing a person so much better." 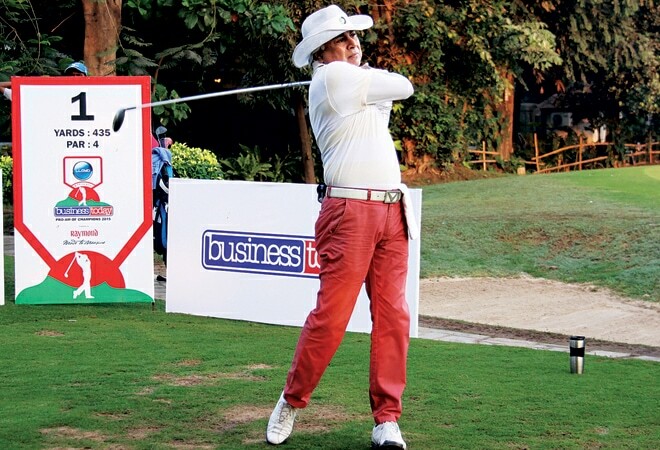 Dr Shailesh Ayyangar, Managing Director, India, Sanofi, compared golfing to tough situations in business. "As in business, when things get tough, you have to keep your calm." Meanwhile, back to the game. The victorious team with 102 points included Anuj Thapar, Madhav Nair, Neville Mehta and Mayank Ruia. Thapar had an excellent outing with exquisite long putts and wonderful birdies, topping the 11 to 18 Handicap group with 42 points. Rahul Divan came out on top in the 0 to 10 Handicap group with 34 points. So competitive was the game that there was a tie for the runners-up team spot, which saw the 'back nine' score system coming into play. With 95 points, the eventual runners-up team included Vijay Chauhan, Sachin Khanna, S.V. Patkar and Surjit Duggal. Chauhan expressed his delight at being part of the event. "It's always good to come up against other businessmen. Most of the participants were playing to win. There were many good golfers." Lloyd Electric & Engineering, India's eminent consumer durables company, was the principal sponsor of the event, which was powered by Raymond. "It's good to partner with Business Today. Next year , we will expand to seven cities and then to 10 a year later . We will also change the format and have a tee-off in the afternoon," declared Nipun Singhal, Director, Lloyd Electric & Engineering. Ballantine's was the event's beverage partner, 4moles.com the digital partner, NEO Sports the TV partner, Creatigies took care of marketing, and the media partners included Golf Digest and Mail Today.